Leather ballet flats - Compulsory for KJD Level 1 and above multi skilled and ballet students. See size guide below. Pointe shoes required for students doing RAD classical Intermediate Foundation and above. These must be fitted by Mrs J or Mrs G! 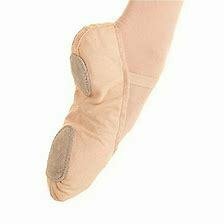 Demi- Pointes required for students doing RAD classical Intermediate and above.